The Estate Surveyors and Valuers Registration Board of Nigeria (ESVARBON) has begun discussions with key stakeholders on the new mechanisms to enhance professionalism. According to the board, the move is to ensure that quality services are rendered to the public in line with global best standards. 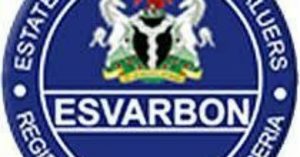 ESVARBON said it met with firms and organisations such as the foremost real estate firm, Knight Frank, the Institute of Chartered Accountants of Nigeria (ICAN), the Chartered Institute of Bankers of Nigeria (CIBN) and the Financial Reporting Council of Nigeria (FRCN). Speaking during the meetings and visits, the Chairman of the board, Sir Nweke Umezuruike, said the agency is seeking collaboration on its new rules and standards, which demand that real estate transaction/documents including valuation/appraisal reports for individual and private sector organisations, letter of offer, arbitration, mediation and independent experts awards, property and facilities management control and agreement, project management, agreement and reports, auction agreement and notices, agency agreement sales and letting and compensation indemnity certificates must carry the new adhesive stamps. Umezuruike who led the delegation explained that as the regulator of estate surveying and valuation profession in Nigeria, the tour was necessary to intimate organisations and other key stakeholders in the profession on current efforts to ensure that practitioners deliver standard services to clients. He told the heads of organisations and agencies that the mechanisms designed to enhance professionalism include the improved adhesive stamps for better regulation/control in the overall practice of the profession, establishment of a regulatory compliance and enforcement unit and the introduction of the Nigerian valuation standards otherwise called, ‘The Green Book’. The chairman declared that the green book is a valuation practice document aimed at ensuring consistent high standards of valuation practice among valuers in Nigeria, stressing that it’s a product of local and international collaborations with key stakeholders in the valuation profession.